Mahasu Peak- A beautiful hill but All in Vain. Mahasu-Kufri is a beautiful small hill station in Shimla district of Himachal Pradesh in India. It is located 15 km from the state capital Shimla on the National Highway No.5. It was a famous Bollywood shooting destination in 70's and 80's especially in winters ..Mahasu Peak is the highest point with the elevaton of 9000ft. in Kufri. On a clear weather day the extensive view of Himalaya can see from the top .Shrikhand Kailash Peak, Dev Tibba & Indrasan peaks of Pir-Panjal Range, Kinner Kailash (Sarong) Jorkaden Peaks of Zaskar Range of Himachal Pradesh.One can also see the peaks of Swargarohini, Bandarpuch mountain ranges and Badrinath/ Kedarnath ranges of Garhwal Himalaya in Uttarakhand. 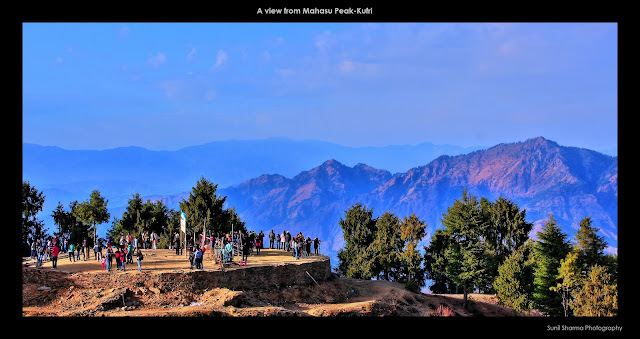 To reach Mahasu Peak it is 2km hike from Kufri through a thick forest of deodar and spruce up to the summit of Mahasu one can also drive up to the base. 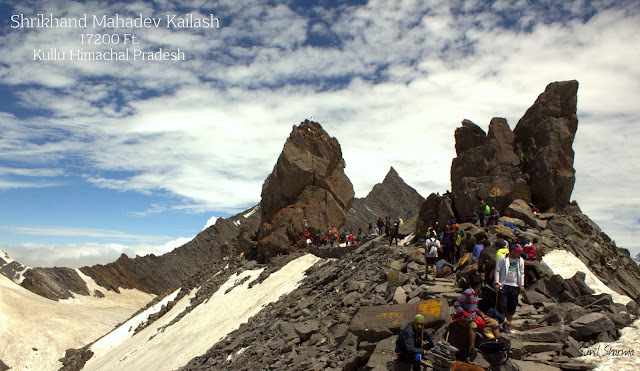 When you reach the Mahasu peak, there is a Nag Devta temple (the Snake God is Kufri's local deity), which is also worth seeing.During winter the Mahasu ridge is a great spot for beginners to practice skiing and is best known as a ski destination, and various type of adventure and other amusement activities are organize by authorized adventure companies at Kufri-Mahasu.The place is very famous for Horse Riding, Telescoping Himalaya and Skiing and other adventure activities in Shimla. The place is ruining by large number of tourists who comes here daily and litter garbage and waste here and there, dusty due to 1500 odd ponys around and lack of grasses, many Dhabawalas , Ponywalas and Gariwalas, Adventurewalas and local guides are unauthorized and do unorganized work there although Local Administration and Tourism Department does not take any initiative to promote good and safe Tourism at Kufri-Mahasu. Shimla is exciting place of Himachal that you can visit for peace of mind. The place is blessed with the natural greenery and provide a wonderful time spending with the destinations sights of Himachal. You can visit a wonderful place of Shimla that is Kufri which is visited from https://www.shimlapacks.in/shimla-honeymoon-tour-packages-kolkata here. The place is providing a beautiful time spending if you include your family in this trip.